I keep getting thrown by how each month continues to become busier and busier. With the end of the school year many schools have sent in their contributions. These are listed below – often with the letters or emails from the students explaining their fund raising efforts and their motivations. For us the busiest time will be July and August when we put these funds to work. At the end are the pictures showing the very beginning of our major projects. My next update – for July and August – will be posted in September. At that time I hope to show the completed – or almost completed – addition to the children’s home, the opening of the library, and at least the beginnings of a number of very important water projects. But first things, first. About our wonderful schools! We want to thank you for leading our class on a very interesting learning journey. Our class has learned a lot from participating in Project Home Team. We delighted in taking on the voices of the various characters during class read alouds. We worked on developing our inferencing skills and we practiced summarizing the main story events. We also had plenty of opportunities to practice our writing. We wrote blogs to you to give feedback on your book, wrote journal responses and did writing in role exercises where we pretended to be Nick. As important as these literacy lessons were, our greatest learning occurred when events in our homeroom began to look like the plot of Home Team. For example, when our class was not given permission to attend the literacy conference where you were officially launching your book Home Team, we got the idea from the book to write business letters to the principal to try to persuade her to change her mind. When that didn’t work, some students (again inspired by Home Team) took the initiative of emailing you to see if you could visit the school. When you kindly agreed to visit the school, the class came up with the idea of fundraising for the charity you founded (Creation of Hope) just like the Clarke Blvd. School students donated 500 pairs of shoes for the charity Soles4souls in Home Team. Fundraising for Creation of Hope taught us some very important lessons as well. We made donations, held a rummage sale, sold beadwork, held a silent auction and sold freezies. We learned to appreciate the value of teamwork – of everyone pulling together for a common goal. We learned that when your heart is in the right place and you are trying to do a good thing, you attract the goodwill of others. Many Smithfield students and staff supported our fundraising efforts by purchasing beaded bracelets, donating items and volunteering for the Smithfield Fun Fair and Flea Market. We learned how good it feels to do good for others. We also learned to persevere. Finally, we learned that what at first appears to be a bad thing can turn out to be a very good thing after all. Of course, all of these lessons can be found in the plot of Home Team, but the lessons are that much more powerful when they become lived experience. 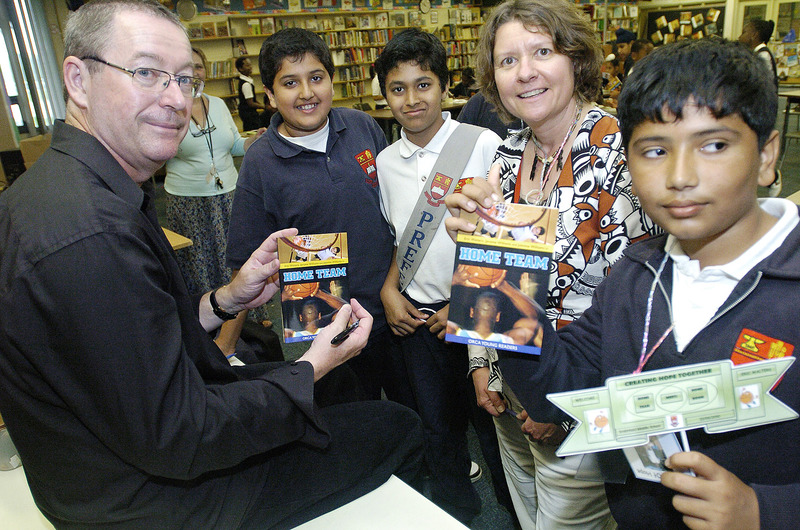 Eric Walters, we would like to thank you from the bottom of our hearts for not only helping us to become better readers, but for helping us to become better people. In the end they raised $438.32! Congratulations to Ms. Oliver’s Class and Ms. Oliver for her leadership. Included in this amount was a $100.00 donation from Penny Bedford. After your visit to Stanley Park School in Kitchener this past winter, the students in class 7-3 decided that they wanted to do something to help the people in Kenya through your Creation of Hope organization. 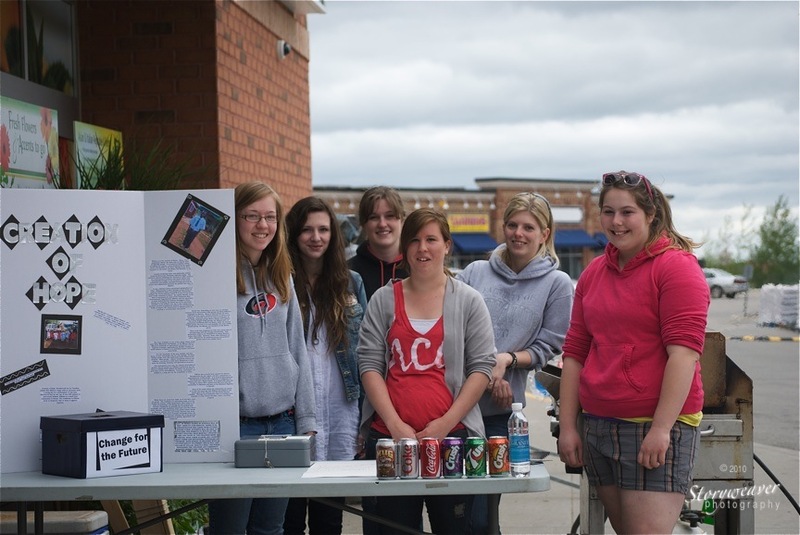 Students organized a very successful iPod day at the school on April 23rd and were able to raise $558.63. For a total of $558.61. Best wishes and much success in the Creation of Hope. Please find enclosed a cheque in the amount of $400.00. Our SAC (Student Activity Council) has tried our very best to raise this money over the course of the year with various activities such as penny drives and hat days and other special events. We would like this money to go towards two things; farm tools for a family and the yearly cost of education for a high school student. We were really inspired to help with the Creation of Hope when you came to visit our school in October. Also, when 10 of the executive Student Activity Council members were chosen to go and hear you and the other authors speak at the Literacy Day Event, we enjoyed hearing your presentation about the people in Africa. We were then encouraged even more to help. Thank you for coming to share your cause with us and for teaching us all that one person can make a difference. We are the student Council Executive of Adjala Central Public School located in Loretto, Ontario. Our goal each year is to raise money to donate to a charity. Our initiative is children helping children. 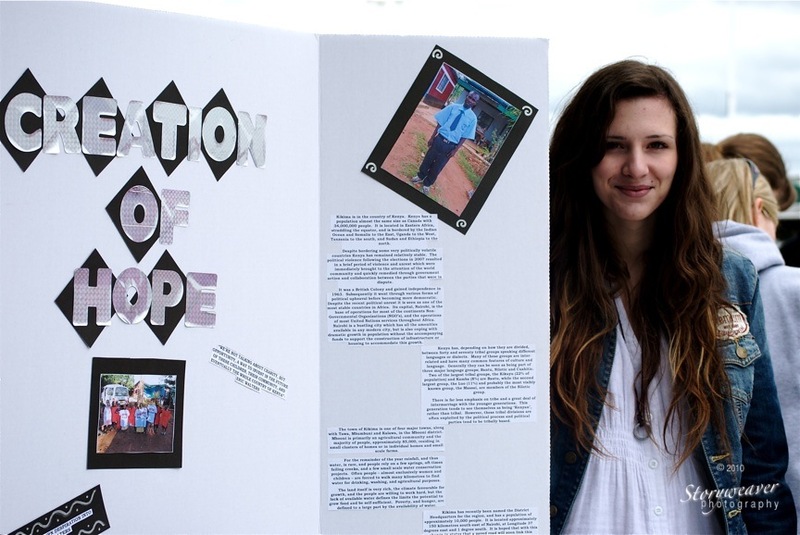 Last year, The Student Council chose the Creation of Hope as our charity after hearing you speak for National Diabetes Day in Alliston. In February, we had the opportunity to hear you speak about your novels and see your PowerPoint presentation about the Creation of Hope. This showed us how our money was spent and how it helped people in a very different environment. You taught us that one person could make a difference and inspired us to make a difference too. We knew immediately that your charity, Creation of Hope, was the charity that we wanted to donate our funds to again. Despite the fact that the president and vice-president are in Grade Eight and will be leaving Adjala Central this year, we are impressed that the student body will be able to track the progress of the Creation of Hope Project and see where the money is being used. In order to raise the money for charity the Student Council was involved in several activities throughout the course of the year. We hosted two student dances, held a penny drive and a ‘Wear Your Hat for 25 cents Day’. We also sold candy grams at Valentine’s Day. These events have allowed us to present your foundation with a cheque in the amount of $700.00. We felt that you are making a huge difference in many peoples’ lives and inspire us to make our mark. Thank you for showing us the world. Fairview Public School had an incredible start to the day. Our head secretary’s daughter (who had previously contributed her profits from a weekend slushie sales) raised over $160.00 selling bracelets that she and her mother made. When her amount was added to the rest of the money raised, her mother Anna Crawford gave Ms. Trevison a cheque for $1244.00 to be presented to Mrs. and Mr. Walters during our morning assembly. This amount exceeded our expectations. Mrs. and Mr. Walters came to the school to extend their gratitude on behalf of the people affected by these fundraisers. Mr. Walters presented a slide show that had a picture of the well being built with money that Fairview had contributed in the past. Then, just when we thought that it couldn’t get any better, Mrs. Walters presented the school with a plaque that held pictures of some of the children from Kikima. This gift really had an impact on the hearts of the people at Fairview. One of the grade one students looked up at Mrs. and Mr. Walters and with a big dimpled smile exclaimed, “You guys rock!” It couldn’t have been said any better. Last fall I visited P.W. Kaeser High School, in Fort Smith, in the Northwest Territory. They have just sent us a wonderful donation of $1508.00. As you can see below, we’ve already started putting this money to good use! Ray Lewis Public School, under the leadership of Sandi Inglis, continues to make contributions. Penny drives, and bake sales, along with other activities have raised another $1279.50! As part of The Creation of Hope we are providing ongoing support to Exodus Children’s Home, operated by our good friend Elijah. This support includes rent, monthly sponsorships for three children, additional food supplies, and computer equipment. 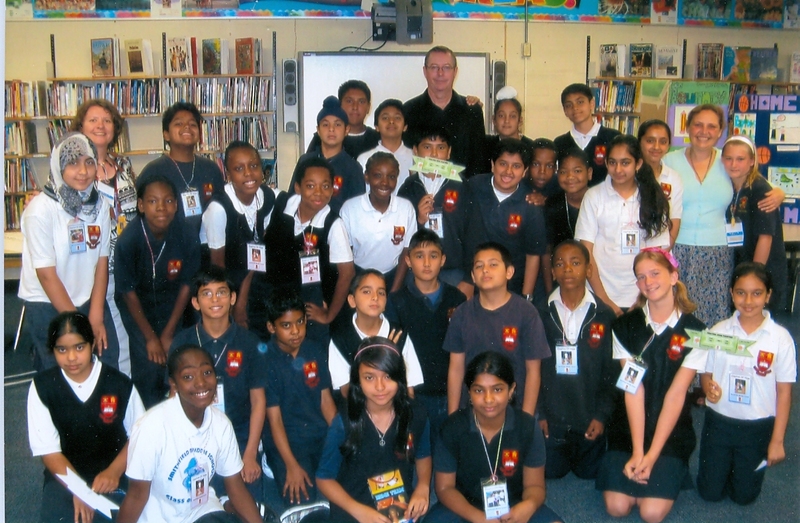 LaSalle has been the primary supporter of Exodus through our program. of Exodus House. In addition to their Student Parliament taking on Creation of Hope as its primary fundraising need, various classes and teachers did their own special activities as well. Three classes of junior students and the special education class created and maintained a wiki in order to “penpal” with the children in Exodus House. Each student in Machakos was given a penpal from each LPS class, and the wiki allowed the two groups of kids to showcase their daily lives, values and interests. This extra level of interaction increased the commitment of the Canadian kids to raise funds for their “brothers and sisters” in Kenya. Since regular fundraising in an economically-depressed area wasn’t going as well as hoped, the LaSalle children added some new fundraising activities in the spring: “Change for Change” (a change drive that brought in over $1300 in two weeks), various sporting event concessions, ice cream sundae and hot dog days, and weekly popcorn sales. Some families personally contributed as well, as their children became more involved with their Kenyan penpals. Not only was enough raised to pay for another year’s rent on the building that houses the children of Exodus House — there was even enough to contribute another $500 to supply Elijah and his children with a further purchase (to be announced). WHOO HOO, LPS!!! In celebration of the deeper relationships between Exodus and LaSalle, an opportunity was created for both sides to finally “meet” online in real time, thanks to Skype and some handy webcams! The big event occurred on Monday June 21 throughout the morning, and included a fun singing extravaganza, a chance to ask questions, and introductions all around. The LPS kids were especially excited to meet the rooster that kept crowing throughout the event! Next year the LaSalle kids are hoping to Skype more frequently, and hold Exodus House events throughout the year to keep the momentum going! A further extension from the work being done at LaSalle I receive a donation for $150.00 from a parent, Shelly Hladki – a donation made because she was impressed with the impact this project has had for her son, a student at LaSalle. 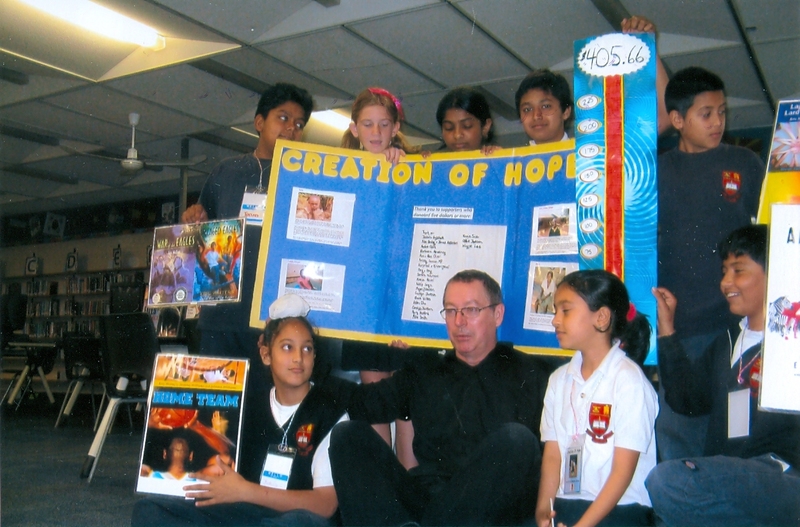 Erindale was one of our first schools and remains a great supporter of the Creation of Hope. This year, through fundraising efforts, including ‘top up the change’ at the cafeteria they raised $444.15 plus another $62.00 from Brooke Hilditch’s class for a total of $506.15! Silver Spring P.S. in Toronto, under the leadership of Kathy Kay held a raffle and raised $124.00 which was used to grant a wish list for a child. Subsequently the teacher involved, Kathy Kay, has decided to sponsor a child on an ongoing basis! Read about her sponsored child in the Sponsorship section below. Sometimes I am guilty of not mentioning everything and everybody so who keeps on doing good things each month. 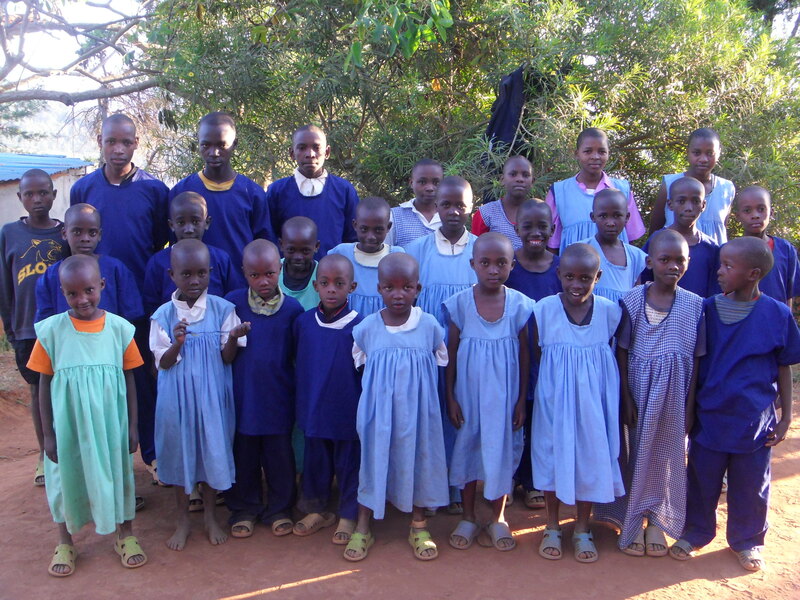 Mr. Rumsby’s class is providing ongoing support and sponsorship of one of our children in Kikma. This past month, before they departed for the summer, they collected another $96.17 – enough money for sponsorship for the entire summer! I hope that Mr. Rumsby and his students have a great summer and it’s nice to know that even when they’re taking a little time off they haven’t taking time off from caring. We also want to acknowledge three individuals who made donations this month. Canadian writer, Karen Dyer made a $100.00 donation. Barb Kettle, teacher/librarian and great supporter from Alexander Graham Bell Public School donated $140.00 and Sandra Masotti made a $50.00 donation. Karlis Dravins and Ieva Koloda acknowledged recognizing how important Creation of Hope is to Eric by making a $100.00 donation on Father’s Day in his honour! Thank you both sincerely! Part of the way we like to acknowledge the generous nature of schools and individuals is to ‘name’ things that they are responsible for. 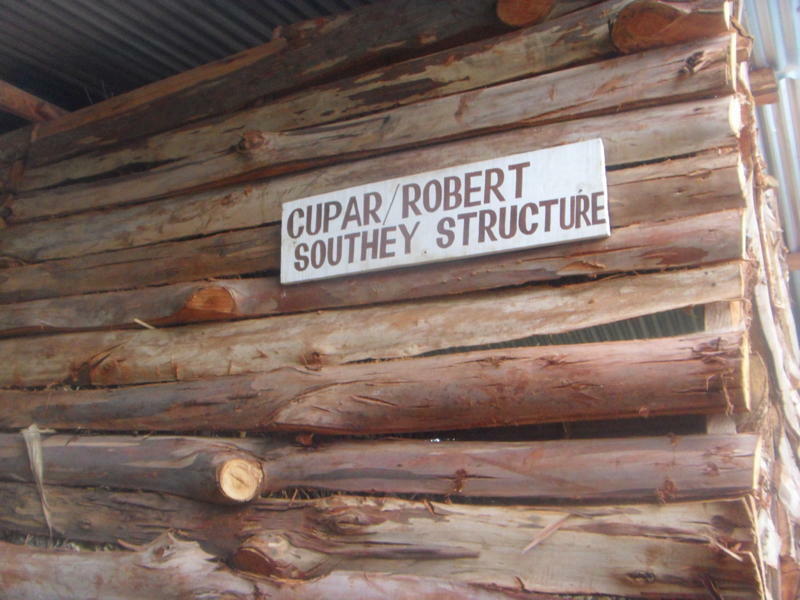 Below are pictures of the Cupar/Robert Southey Structure. 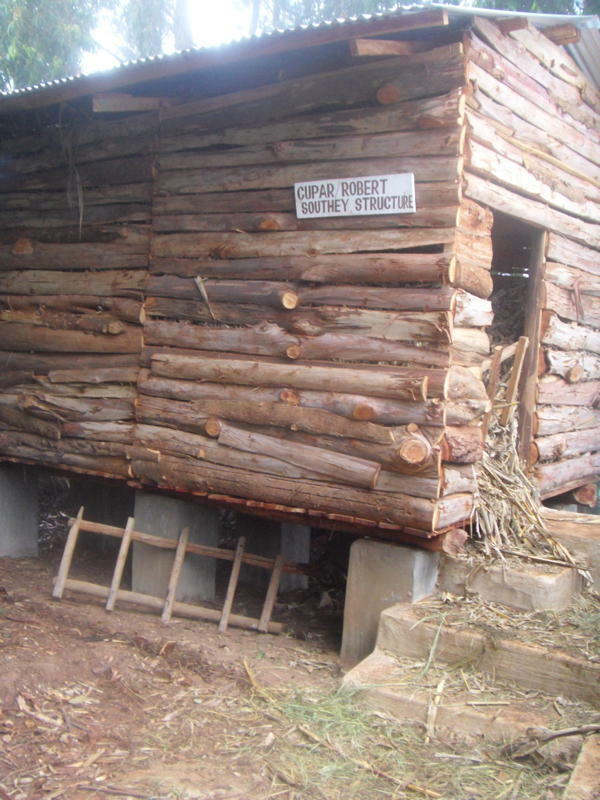 This food storage facility – now full of feed – will allow the ‘residents’ of the goat academy, rabbit hutch, and the soon to be built chicken coop to be provided for on an ongoing basis. Part of our goal is for self-sufficiency for the orphans of Rolling Hills. By purchasing and gathering foliage when it is plentiful and cheap and storing it we can keep costs greatly down. Thank you to the students of Cupar and Robert Southey – your generous gift will give forever! 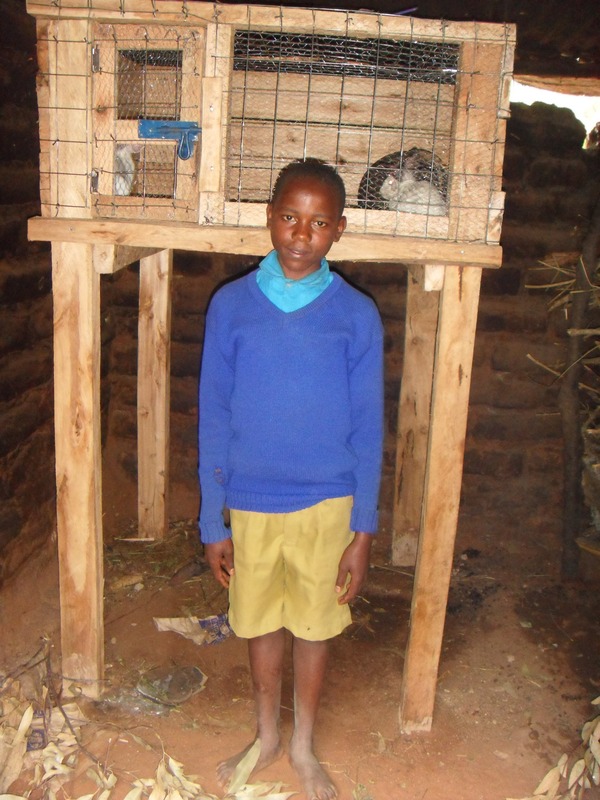 Muthama is the proud owner of a bunny hutch – paid for by the generous donation of Marie Campbell. This hutch is a place for his bunny breeding business to provide money for him and his grandparents. When I’m in Kenya I’m going to visit with Muthama and bring him a few more rabbits for his hutch. We always want to encourage those willing to work to make their lives better. Deforestation and soil erosion are major problem throughout the world, including Mbooni district. Last year we planted over 8,000 saplings, a mixture of fruit, medicinal and hard wood, throughout the region, partnering with people who committed to caring for these trees. This year we’re hoping to plant thousands more – but do it even more inexpensively so we’re growing our own from seeds. 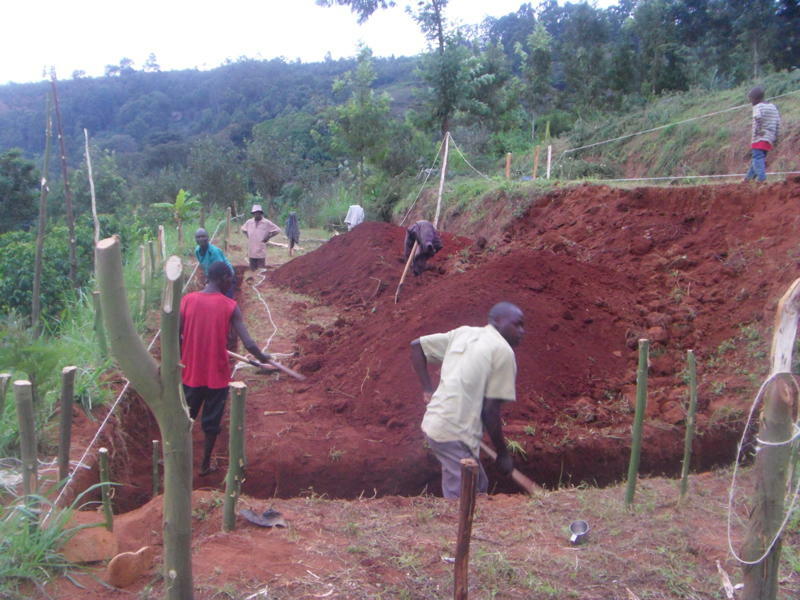 The tree nursery is still in progress but I would say that one seedling will cost approximately Ksh. 10 by the time they are grown, transported and transplanted. This is much less expensive than the previous year when we bought saplings rather than raising them from seeds. We have so far potted more than 12,000 seedlings and there are others in the nursery. This has been funded by the following schools or groups. Highland paid for 3000 saplings at a cost of $500.00. Saint Joan of Arc Catholic High School provided $100.25 for 626 saplings. P.W. Kaeser High School in Fort Smith contributed $300.00 for 1875 saplings. Ray Lewis Public School contributed $279.50 for 1746 saplings. Smithfield Middle School contributed $200.00 for 1250 saplings. The final $264.87 from the money raised by Medicine Hat High School purchased 1655 saplings. The final $175.00 from Innisdale purchased 1093 saplings. And the final $200.00 from Aldergrove Public School purchased 1250 saplings. 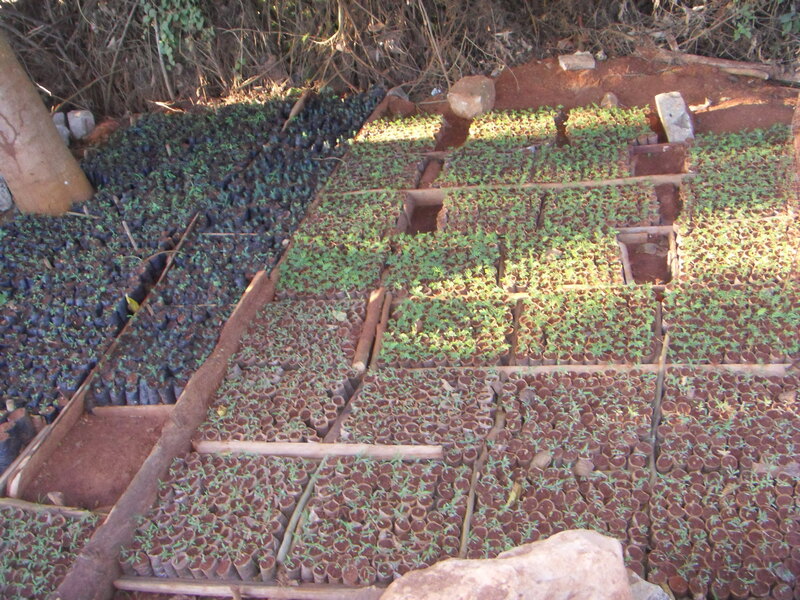 Ruth hopes that there are another 13,000 seedlings that can be transplanted come the October/December rains. One of our young residents is ill. She has undergone testing and will require treatment and possibly surgery. The cost of this surgery and treatment would have been beyond the means of her grandparents and extended family – it could be as much as $1500.00. We have made a promise that we will provide whatever treatment is necessary. This promise has been made possible because of the students of Highland Secondary School. We will keep the Highland students aware of the situation as we become aware of it. She has undergone some tests and the doctor says she needs to be examined under sedation because she has a growth at her cervix. They are doing further tests and will have to operate to remove the growth. We shall know her prognosis after this Saturday, when she is expected to undergo further tests. We purchased a new computer for Rolling Hills that will be brought over when I travel to Kikima in July. The cost of this computer, $361.00, was provided with funds from Highland. Two of our monthly expenses are for the Matron’s salary and for over costs when we do the monthly food distribution. We have sponsorship funding for most of the children but extend the food to provide for others in the community, including the siblings of sponsored children. These two costs – $100.00 for the Matron’s salary and $115.00 for food distribution, were provided by money donated from Alexander Graham Bell. Students are continually tested and marked and compared on standardized testing. Below are students who worked hard and finished in the top three in their classes. Each was given a chicken. These chickens were funded by Stanley Park Senior Public School at a cost of $35.00. 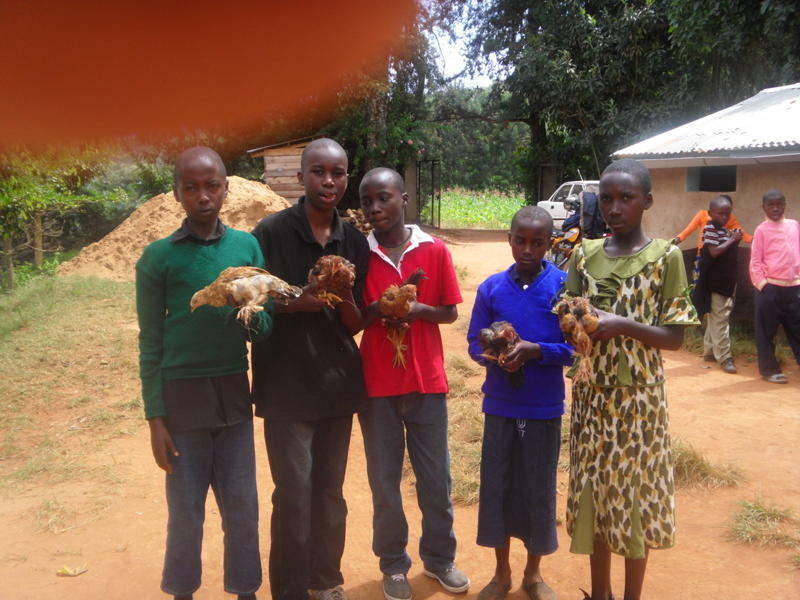 The five chickens were given to Ndinda Mwanza, Willie Mutindi, Teddy Mutua, Mwongeli Mutinda and Maundu Mwanza. 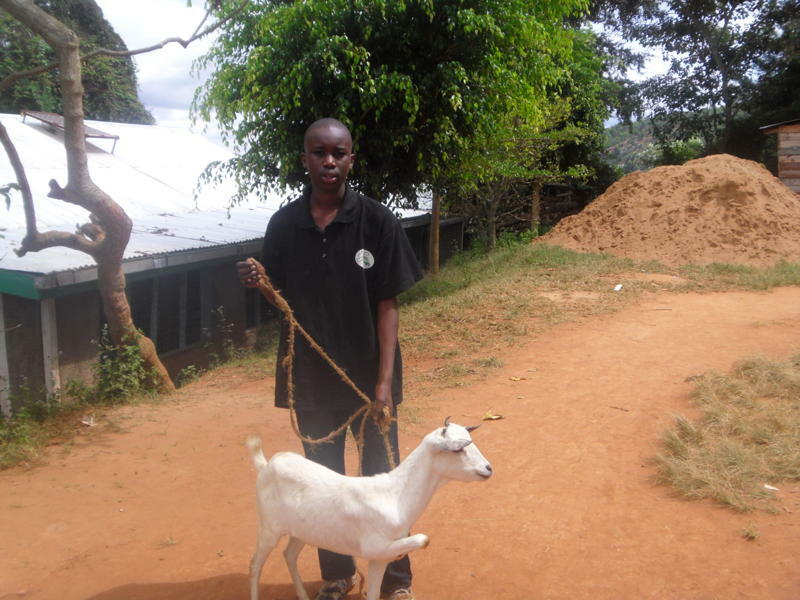 The goat was also funded by Stanley Park was given to Willie Mutindi – Judah’s brother – for being the only prefect among all the children. In the previous update we listed part of June – specifically the work done by Rolling Hills in raising funds. I spoke to Ruth about a number of things including a way to honour these special people – and others in the future. We talked about the creation of a Wall of Fame. 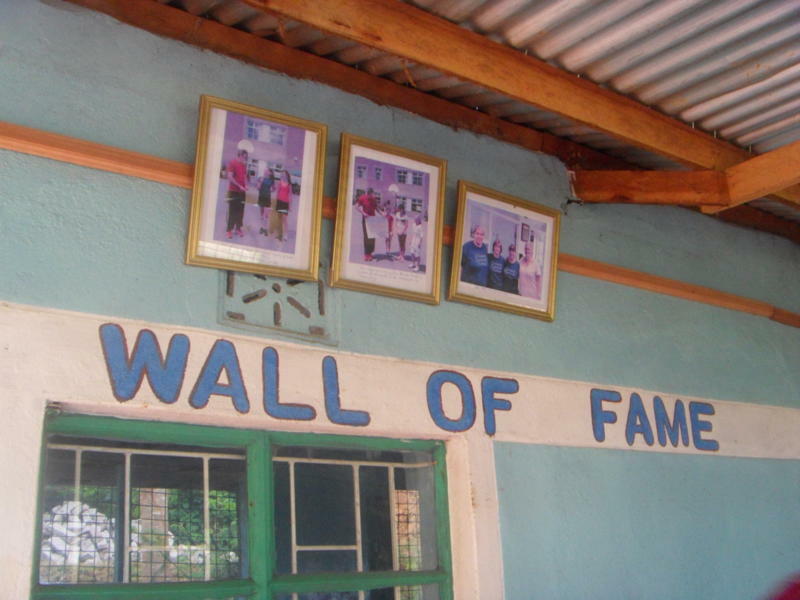 Below are the first people honoured on our Wall of Fame. I know that many more will join them in the months to come. The first stage of the addition, excavating the site, is already underway. I’m looking forward to being there in July as the walls start to go up. As always local people are being provided with a living wage for their labour. With this money they will provide for their families! In addition, the well is now being dug that will provide safe, clean, and secure water for the children of Rolling Hills Residence. This well, which will be dug completely by hand, may have to go down more than two hundred feet – the depth that is equivalent to a 20 story apartment building! 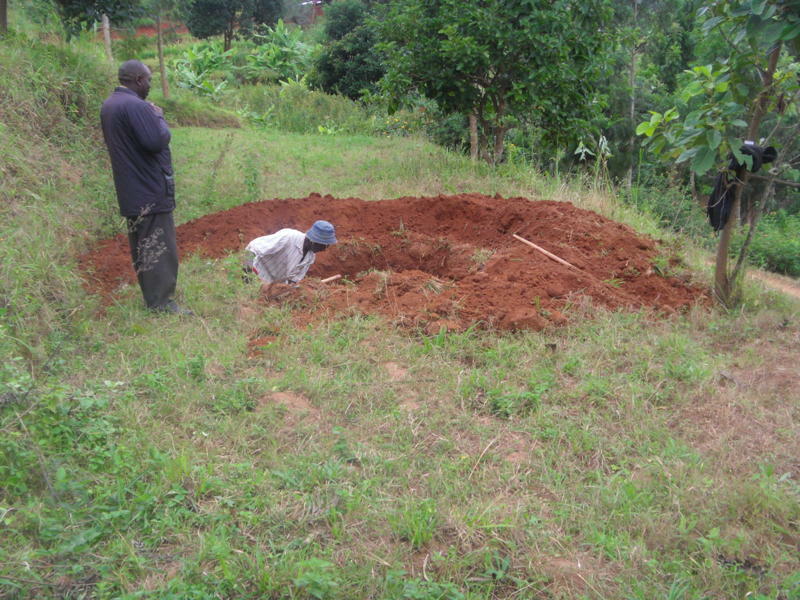 When this well is complete the residence will never have to depend on rain again nor have to pay for water. This is one more major step toward self-sufficiency.